A small look at kRaveings book number 4! Hi Gang! We’re getting closer to my favorite month and I do have something new coming along so look out for that. More details to arrive in the coming weeks! As for right now here is another excerpt from another one of my works in kRavings: Killshot. kRaven still finds himself knee deep in the death of Missy Horgenstern and a little sluething has him run into not only a LOT of trouble, but he meets an old friend as well from days gone by. So here is a bit of Kraveings: Killshot for you to hopefully enjoy! 2376 Factory Street in Coldwater had a long and storied history in the city. The large industrial building was once part of a much larger complex first built in the 1890’s for the Gladwood Supply Company. Gladwood Supply used to be known for making a variety of household products starting small with kitchen wear before expanding into all kinds of products as the decades rolled on. More buildings were built around the original factory and it was a big employer in Coldwater for many years. When World War II ended, however, things had changed. The company ownership packed up and moved East. Many owners came and went with the complex, each time more of the surrounding buildings were sold off and demolished for the city, bringing things right back down to the original building that started it all. Jobs came and went inside its walls before its last resident, a small plumbing supply company, went down the tubes and closed in 2000. Since then the empty shell has sat lifeless and used by the city’s homeless and criminals to take shelter from, or not want to be found by the city. With no power of the city flowing through its frayed wires, it makes for a perfect place to make a deal you don’t want people to know about. But in these dark hours of the evening, the power flowed inside the building for the first time in nearly 20 years. It didn’t turn on any lights or start up any of the machines left abandoned in the building. In fact, the power was brief and sudden, a bolt of high voltage to be exact. Like a lightning bolt but not from the sky. The crack of the sound barrier being broken echoed through its walls and could be heard outside the building as well. After a few seconds, one of the doors to the building opened up. The shadowy frame of a man clad in almost all black. His long black duster jacket moving in the slight breeze. “That was fun,” kRaven said taking off his cloth face covering and breathing in some cool air. Beside him, unseen by anyone else but the dark clad kRaven floated the ghostly figure of his companion Mirakoshi. “They did seem to make this matter very easy for you,” the ethereal kabuki being replied. A few hours earlier the super-powered former crook had a brief encounter with a few members of a local gang that had been known for murders and drug pushing in the area. Not taking too kindly to being called a freak and being told the city was “their turf” the cyberlocked avenger and his ghostly friend made a visit to where several of these gang members were located, right in the middle of a big money deal. The battle didn’t take long as within a few minutes everyone was unconscious on the ground. A quick call to the local police department would have the cops arriving at any moment. “It will still serve as condemning evidence for the authorities will it not?” Mirakoshi said floating just behind kRaven. They both ducked into an alleyway just as the police sirens signaled the cops arrival to the scene. kRaven was sure to let the police know just what they would find when they got there and made everything nice and tidy for them before he left. No one was killed, just given the shock of their lives. They were a few blocks away when kRaven looked up, seeing some very strange colors flashing in the sky above them. Not the usual lights of street signs or beacons, but flashes he didn’t quite recognize. “What do you think is the source of those occurrences?” Mirakoshi asked. kRaven looked around before taking another alleyway and running up to the side of one of the buildings. His medusa-like cyber tendrils started to flutter and connected to the building next him. It didn’t take long before his nanite power had a scan on the entire building, seeing it was nearly empty save for what seemed like a few squatters who probably wouldn’t give him a hassle. He reached up and grabbed into the fire escape and lifted himself up the ladder and onto the first platform. With Mirakoshi floating beside him kRaven arrived at the roof of the building, taking a breath to collect his wind. “I believe that is our answer,” Mirakoshi said as he looked off into the distance. kRaven looked to the same angle and sure enough, the answer was apparent. Several blocks away in the sky just above the city were two figures locked in battle. Both recognized the larger figure, although he was hard to make out in the night sky, but easily identified by the bright white light he used as his weapon as The Star, Coldwater’s resident superhero. The mysterious man in the suit that looked like space itself and his hands glowed as beams of light shot out of them. The other figure was a mystery to both onlookers. It was a figure slightly smaller than the imposing figure of The Star and clad in lots of metal, looking almost like a robot or machine. Their hands glowed with what looked like green laser light. Both watched the battle raging on above the city’s residents. kRaven didn’t respond right away. Mirakoshi could see his expression sour. He knew inside kRaven’s mind he was reliving the episode a few weeks before when kRaven and The Star destroyed a floor of the building he and kRaven called home and his friend had several injuries that took their time to heal, even with his super human abilities. Mirakoshi had been right. The events that played out between him and The Star replayed in his head. Although they hadn’t killed each other, there was still some things that simmered in his mind since that day. Things that he didn’t want to talk about. Besides, there were other things on his mind as well. “You are still concerned with the young woman correct?” Mirakoshi asked. The ghost was referring to Missy Horgenstern, the college-aged daughter of a powerful state representative who was found just before the fight with The Star and one of the reasons they clashed in the first place. The brief statement told the ghost all he needed to know. It wasn’t hard to figure out that the ongoing unsolved murder of the young woman and how she had been tortured for no reason of her own and who her father was had lingered in kRaven’s mind. It had lingered in his as well. Mirakoshi had seen the memories, had seen first hand what had happened to her, but he had seen a lot of last memories of the vessels he had possessed. Both stood silently as the battle above them raged on. The glow of one light clashing against another. The end came, not with the city’s hero using his special power of light, but with a flying punch to his foe’s face that put down the would-be villain. As he adjusted his dark glasses he took in another breath of cool night air. Mirakoshi snickered. He had become used to what kRaven called “ghost humor”. It was an acquired taste for sure, but it was a reminder that even in this existence of his, he was allowed to relax and see the humor in things, something he had to be reminded of from time to time. It wasn’t long before the unlikely duo arrived at a small bar on the west side of the city. The place, called “The Old Country” was a small hole-in-the-wall type place sandwiched between a few other rundown buildings. 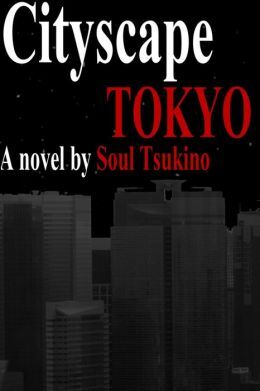 Mirakoshi had thoughts of old gambling and opium dens he had seen in Japan long ago. Once inside they both looked around. It was a small bar with only a few tables. A few nearly passed out drunks sat to themselves while a television was playing the breaking news of The Star’s latest battle. kRaven came up to the bar and sat down on the stool with Mirakoshi floating up beside him. “This place looks increasingly depressing,” Mirakoshi remarked. “It’s not a hot spot that is for sure,” kRaven mumbled softly under his breath. “Are not trying to abstain from strong spirits?” the ghost asked. 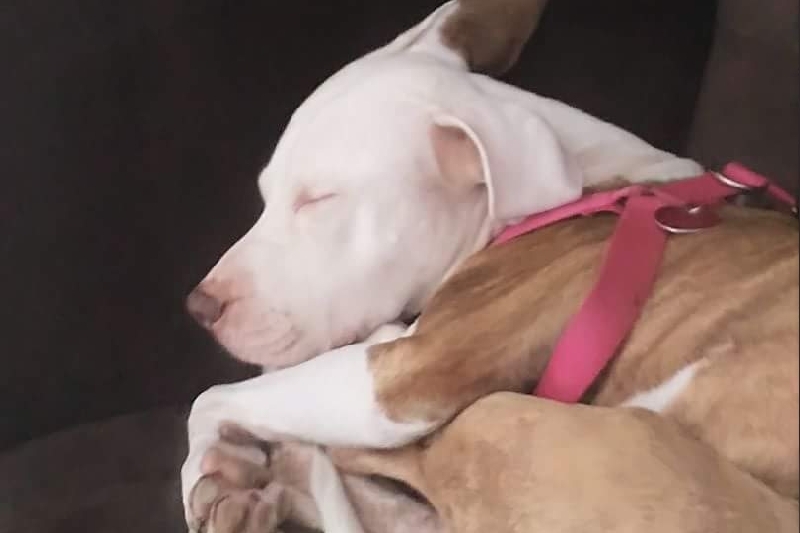 They looked up to the TV as the live shots of the night sky had cut away as the small crawl across the screen announced that no statement had been made by either the city or The Star over the incident as of yet. As they both listened the newscaster’s coverage changed to that of the death of Missy. Just when the anchor started, a large bald man appeared from the back. “I’ll pass on the vodka. Alcohol’s not been kind to me,” kRaven replied. 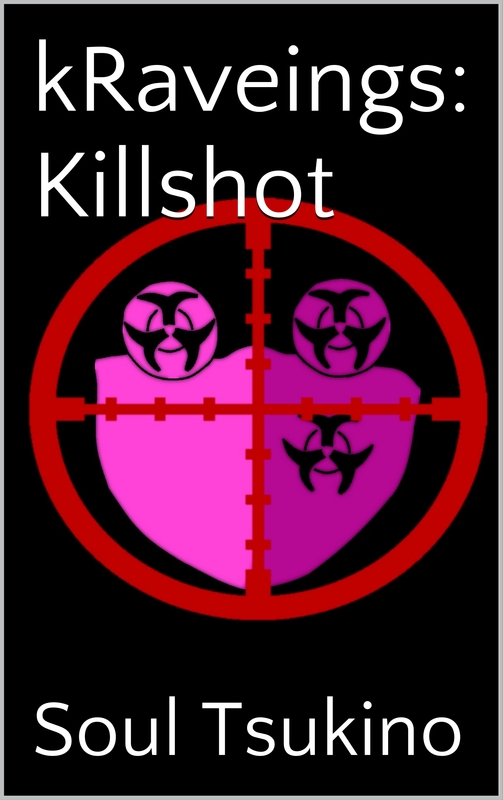 Posted by soultsukino on September 24, 2018 in Contributors, Soul Tsukino and tagged A whole lot of people get killed, Damn Write!, Drinking, drugs, Ebook, kRaveings: Killshot, Soul Tsukino.